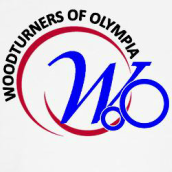 Since 2005 the Woodturners of Olympia have been bringing people together in the Olympia – Lacey WA area with lively demonstrations, insightful sharing and the best way to meet local woodturners! Our members come from all around the south sound area of Washington state; Olympia, Lacey, Tumwater, Chehalis, Centralia, Aberdeen and beyond. We started with the help and support of the woodturning chapters in Fife and Seattle. For those who are looking for an active and fun woodturning group, we encourage you to come and visit one of our meetings. The "Setting Up Shop" powerpoint from January can be found HERE.